Bheinn cailte gan Beo.ie .is iontach an tacaíocht é idir scéalta agus focloir úr nua. Iris den scoith. Dúirt mé go mbeadh €25 in aghaidh na bliana dea-chaite! 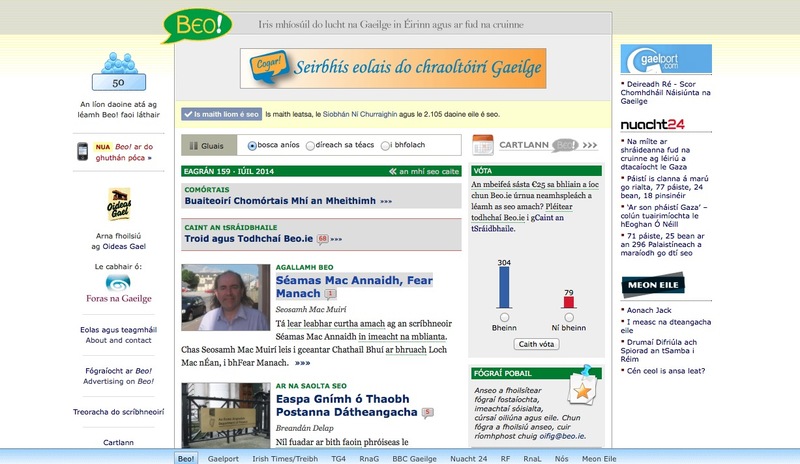 Táim lánsásta Beo tacaíocht a thabhairt. Ailt breá!